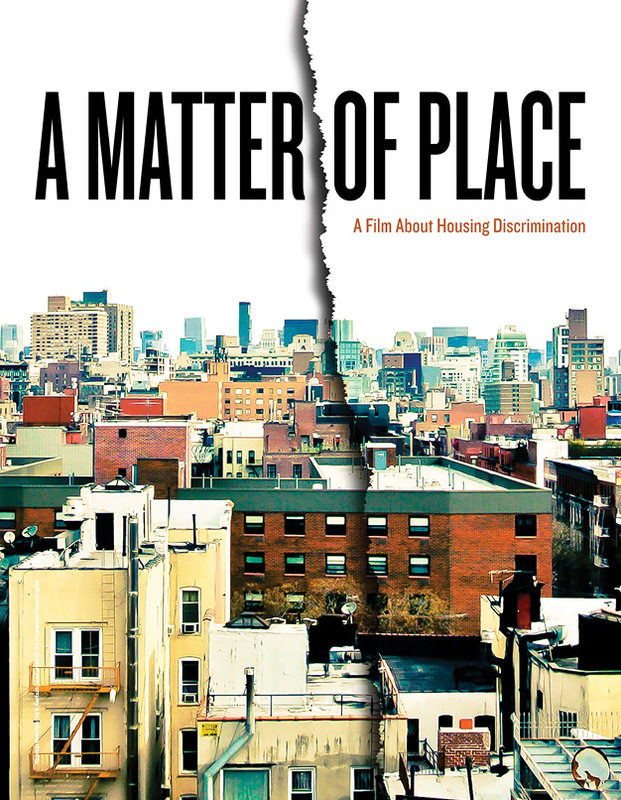 The Fair Housing Justice Center has partnered with Kavanagh Productions to produce the film “A Matter of Place”, a documentary film that shines a bright light on housing discrimination, one of the most shrouded and misunderstood civil rights issues in America. The film connects past struggles for fair housing to contemporary incidents of housing bias based on race, sexual orientation, disability, and source of income, and presents three stories of people who faced housing discrimination in present-day New York City. They poignantly describe the injuries inflicted on them during these incidents, as well as their resolve to fight for justice. Through experts, civil rights advocates, and fair housing testers, the film also recounts our nation’s often overlooked history of residential segregation and introduces viewers to systemic and pervasive injustices that, despite the existence of fair housing laws, continue to inflict harm on entire communities and individuals throughout America. Our hope is that you can use this film as an educational tool to promote fair housing by hosting a screening in your community. With that in mind, we have prepared an electronic film promotion kit. The kit includes our new film poster in various sizes and formats that you can print or send electronically to your community of supporters. You can download these materials individually using the links in the table below, or by downloading the entire kit here (102mb). If you will be working with a professional service bureau to print any of the kit items please download and use the professional print files. For more information on how to print or use each item in the kit, make sure to also download our Film Promotion Kit Reference Guide (863kb). If you plan to use social media to promote a local screening of A Matter of Place, you may add a link to the trailer or embed it on social media sites to market the event. The trailer is available on Vimeo at http://vimeo.com/80847739.